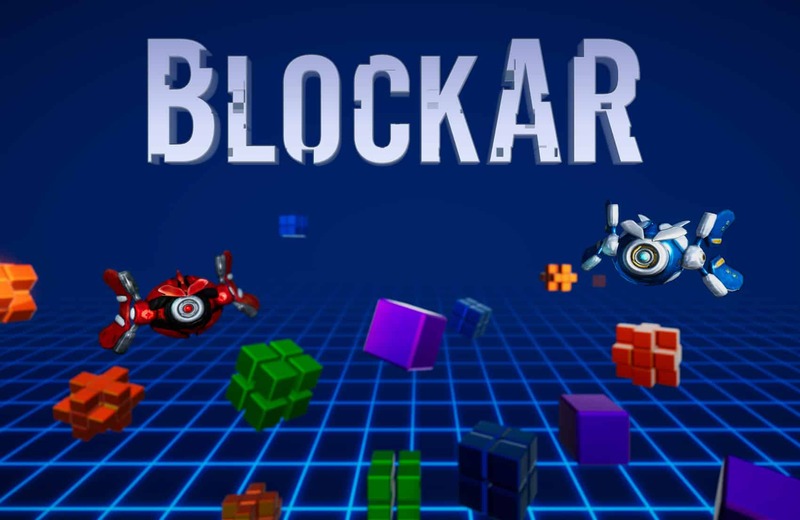 Block AR is a puzzle game built in Unity for the Merge Cube and released in 2017. Using AR technology, players use their hands to rotate the Merge Cube which rotates the 3D puzzle they see on their phone or tablet. Players complete combinations of 3 or more colors to earn the most points, strategically launching new colored cubes and specials to beat nearly 50 challenging missions. This project takes advantage of Vuforia and Unity to build an AR experience using the Merge Cube. Players can purchase the Merge Cube, then download our app to play on their phones and tablet devices. This app is available for iOS and Android devices. Block AR includes a team of colorful animated robots that teach the player how to play. The blue robot helps you complete your mission, but the red robot provides new challenges as it tries to defeat the player. This 3D version of a match three game allows the player to spin and rotate the puzzle to find the right place to launch their cubes. As time goes on, more cubes are created, so you need to work fast and use your special abilities at the right time! Later levels include new hazards that freeze nearby cubes, expand the board by spawning new cubes, and more.